In August 2018, we made a spontaneous trip through the Balkans. We visited five countries: Montenegro, Albania, Kosovo, Serbia, and Bosnia and Herzegovina. Today we share our main impressions both about the region and about the particular countries. Still, the distinctions may vary and are more blurred near borders. Nature in the Balkans is beautiful in its diversity. Here you find clear seas, picturesque gorges, national parks, and clear lakes. Since we are not beach lovers, we preferred mountains, lakes, and rivers. During the trip, we swam in six different places, and only in two cases, it was the sea. In Montenegro, unfortunately, two organized tours were not good because of the service quality. 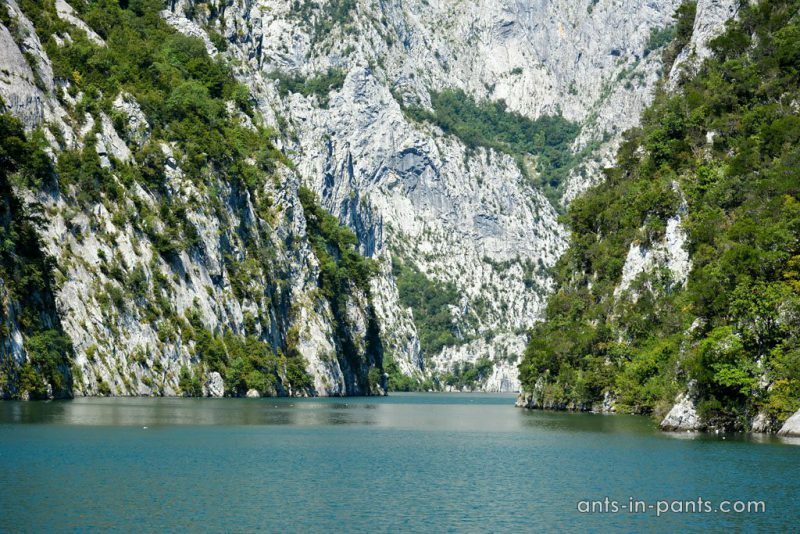 Nevertheless, the canyons of the Morača and Tara rivers with the Đurđevića Tara Bridge certainly deserve being mentioned. 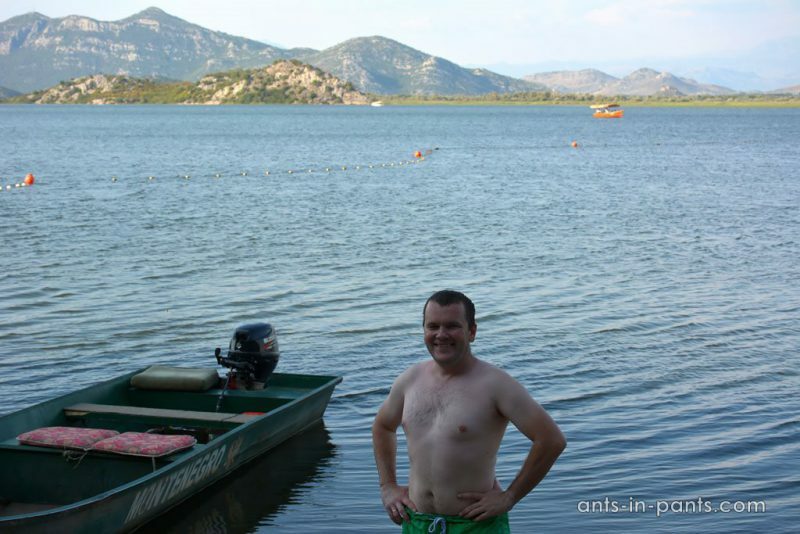 In Albania, we really enjoyed a ride on the lake Koman by ferry. 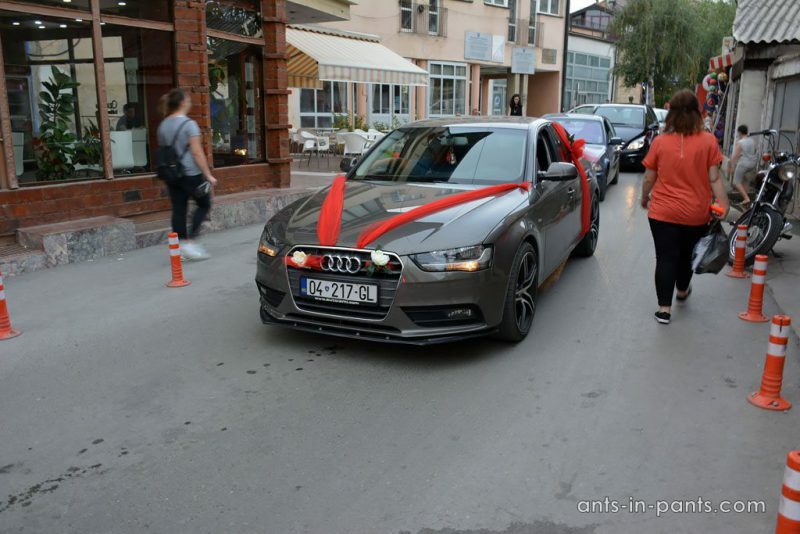 With this ride we solved the logistical problem simultaneously, thereby moving closer to Kosovo. 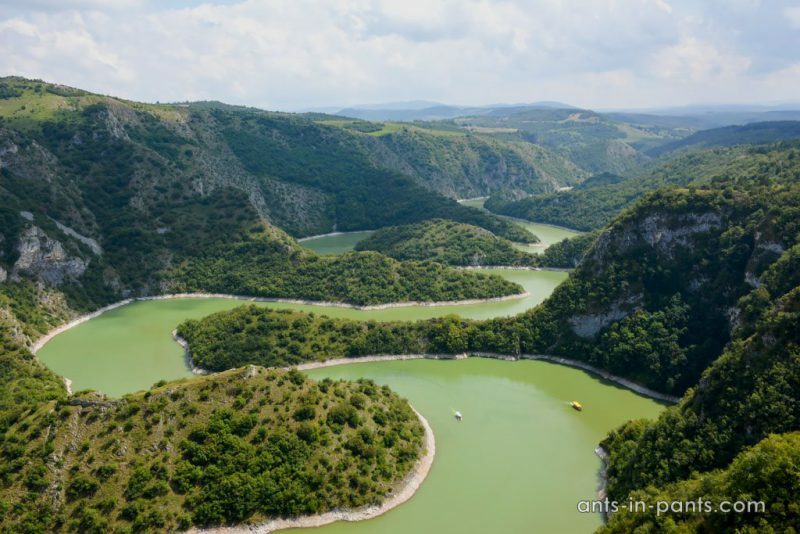 A trip to the Serbian reserve Uvac was also unforgettable. 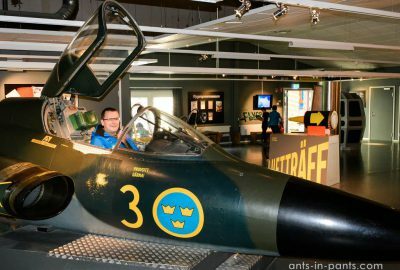 The tour was interesting and informative. In order to get to the observation point, we had to sweat and suffer: Nastya deeply impressed local guides by conquering the rocky precipitous rise in her usual sandals. 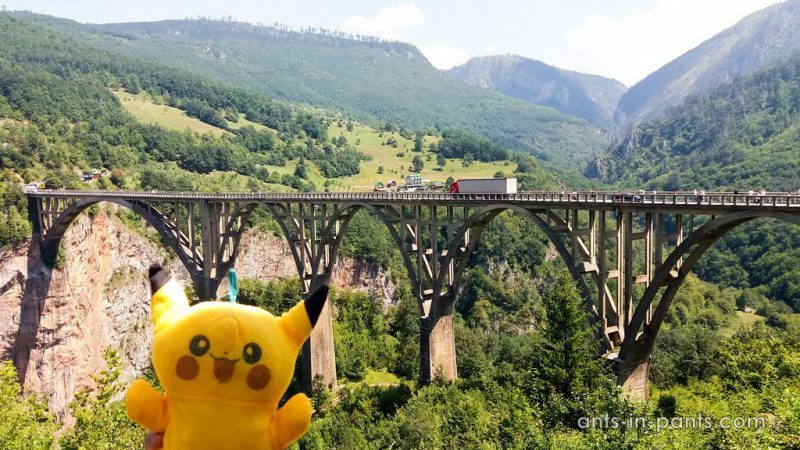 Undoubtedly, the nature of the Balkans is unique. It is a pity that the attitude to these beauties of the local population and some tourists is neglectful. You can find a lot of garbage both on the seashore and in the middle of the forest. This reminded us of Baikal, where people also disregard what nature gives to them. In this region, various cultures have intertwined, but in general, despite the diversity, people here are cheerful and open. From the very first day, we felt that we have nothing to fear here, everyone was smiling and trying to help. 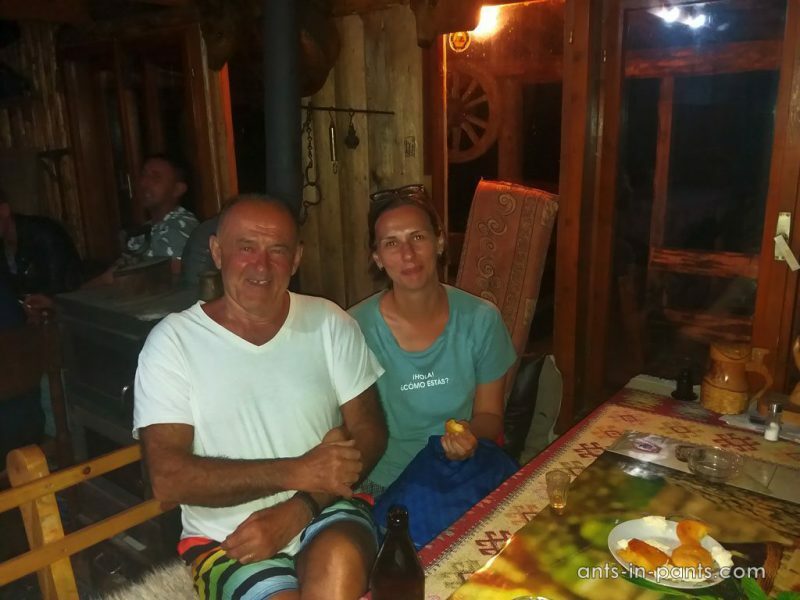 Totally relaxed, on the third day of our trip, we headed to Skadar Lake in Montenegro. To get to the lake from the train station, we had to walk a few kilometres along the road. The car stopped, and two ladies offered us a ride: they said they did not want the guests to walk along the highway. This was a scam: they drove us to their boss who had a fake tourist information centre in his hotel Pelican, organizing excursions on the lake. This cheating was very unpleasant, however, it was probably only one of only two cheating cases in two weeks. Balkans are relaxing, but do not get too relaxed! 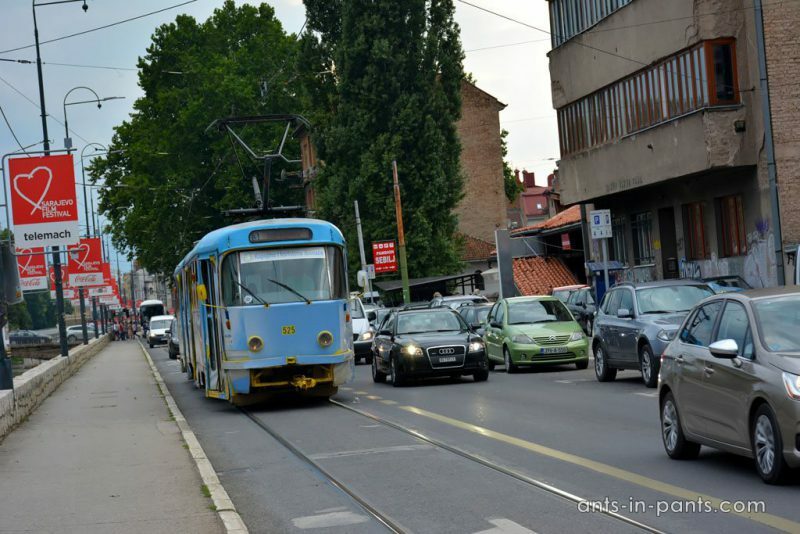 Transport in the Balkans is a chaos—at least where we were. 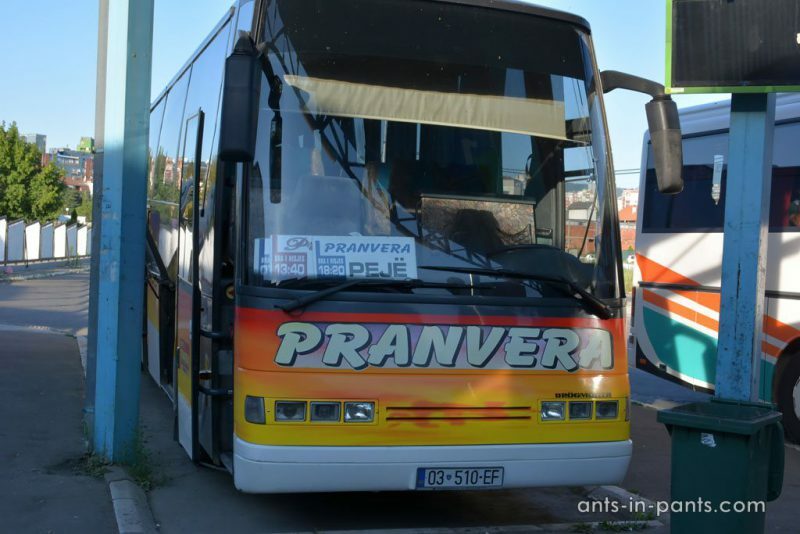 We know for sure that everything works perfectly in Serbia, closer to Belgrade, but not in the south, where intercity buses are constantly late. 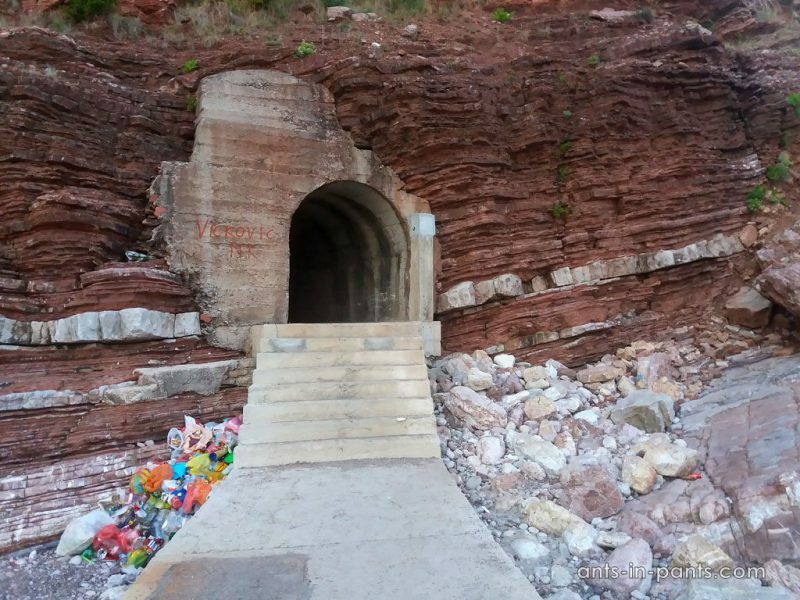 The worst transport experience was the Montenegrin coast. People from all over the Balkans come here by their cars for a beach holiday. The roads are narrow, so they become one never-ending traffic jam. If you add to the constant lateness of buses, it turns out that here you waste a lot of time to get from point A to point B. It does not depend on whether you use public transport, rent a car or take a taxi. In traffic jams, all are equal. The situation with transport in Kosovo was more or less normal. In the Balkans, you find stone towns, ancient fortresses, picturesque bridges, centuries-old churches, and mosques in close proximity. Moreover, some places have novel unusual buildings. Such are the architectural constructions by an eccentric film director Kusturica who rebuilt a part of Visegrad city in Bosnia and built his own village in Serbia. 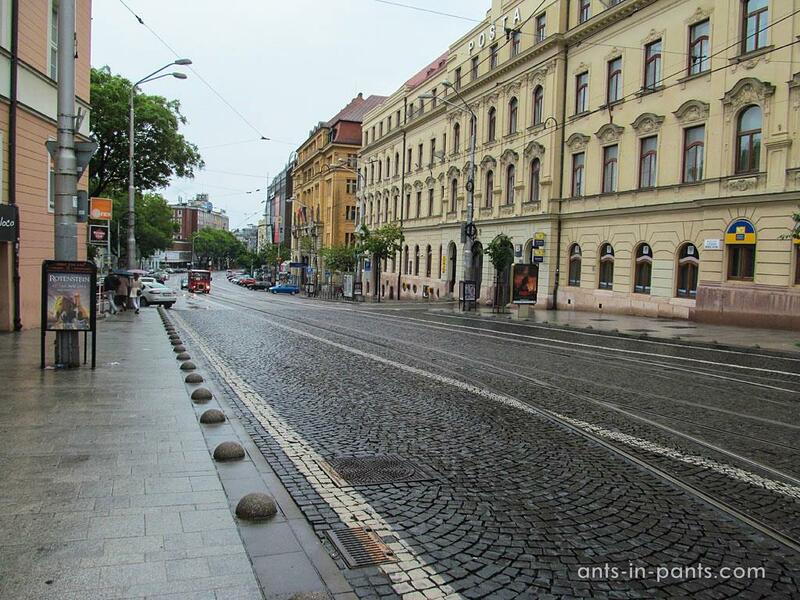 He named the streets and squares there in honour of people whom he respects (such as Bruce Lee and Nikola Tesla). 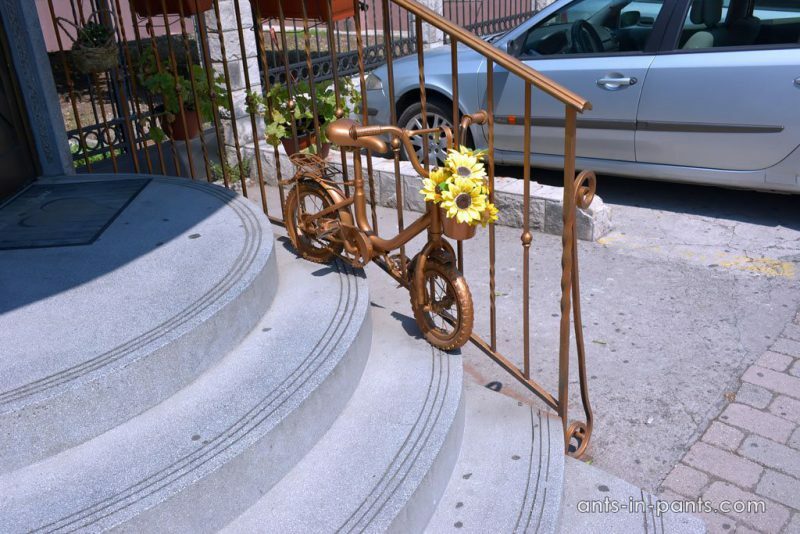 Montenegro seems a country of contrasts. 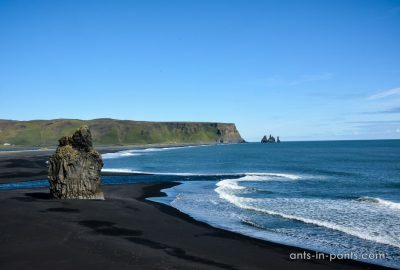 The seaside region is very different from the mountains both in terms of nature and in terms of people. Even rakia (a strong alcoholic drink) is offered more often in the mountain regions 🙂 We advise against going to Montenegro and especially its coast during high season. Your impressions can be seriously spoiled. In Albania, we spent few days in Shkodër. It is worth noting that there we rested a bit from Montenegrin meat dishes and crowds. 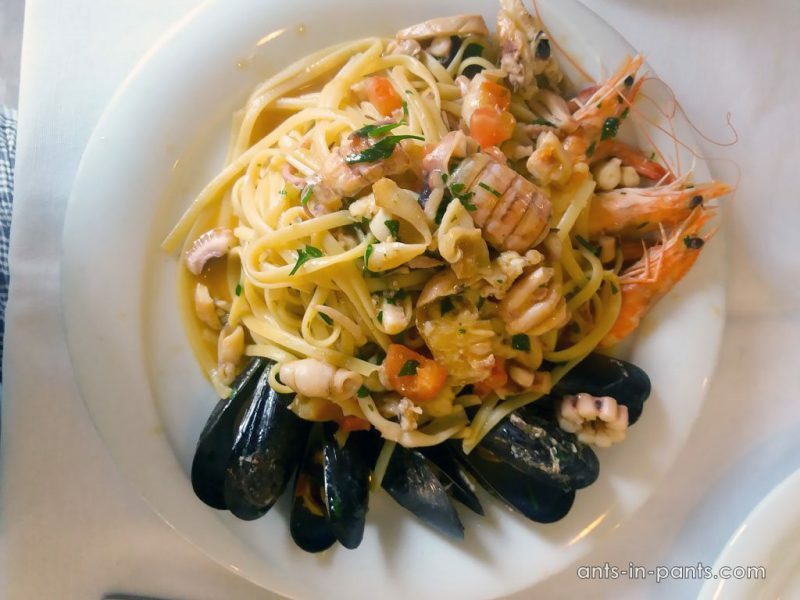 We ate a lot of seafood and pastries. 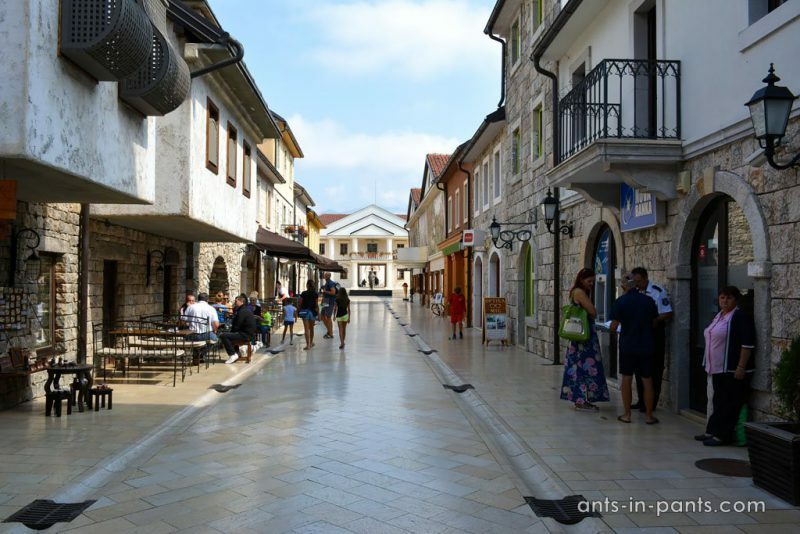 In addition, there are inexpensive, quiet and cosy cafes in Shkodër, so you could enjoy the tranquillity and very low prices compared to neighbouring Montenegro. Kosovo seemed the feast of life. 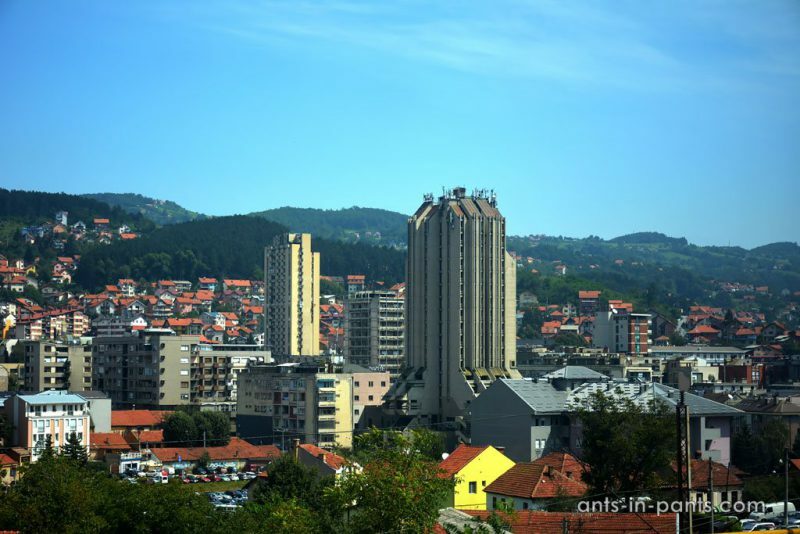 Traditionally, many Kosovo emigrants come here for holidays in August. Therefore, August is considered the best time for weddings, because all relatives come by. 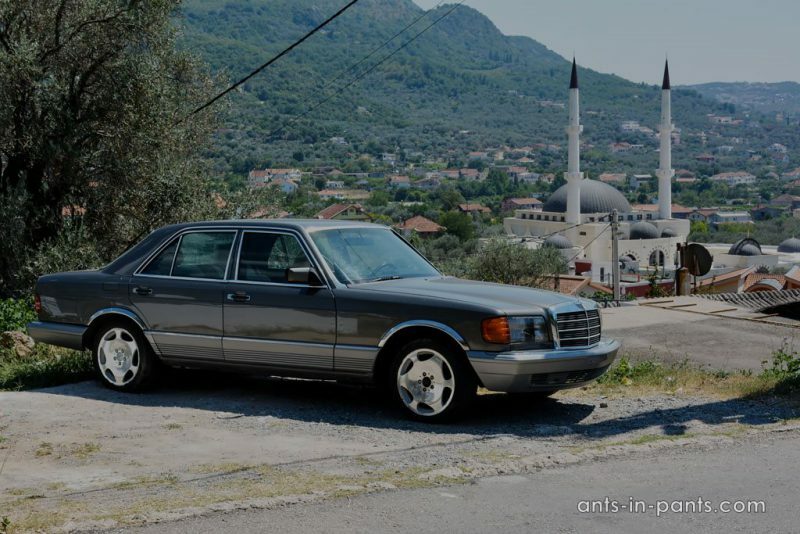 You can see many cars with Austrian, Swiss, and German license plates, from which you can hear national Albanian motifs. 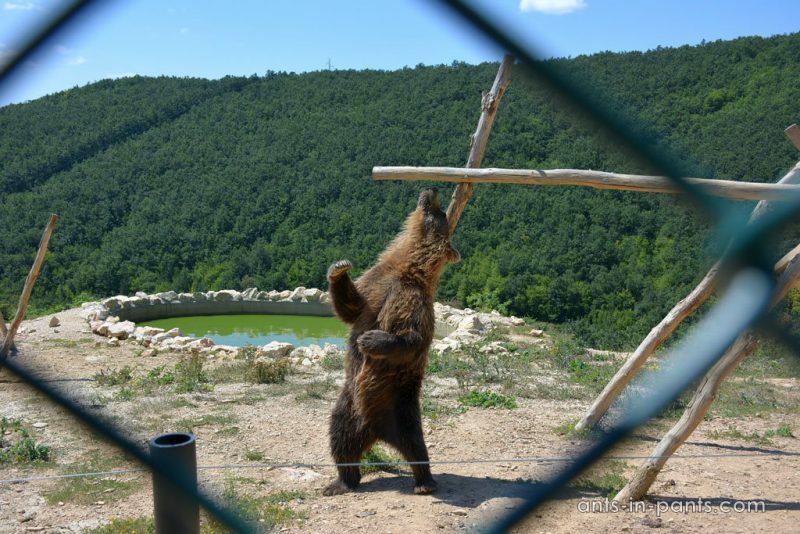 Bear Sanctuary in Prishtina was the most memorable place in Kosovo. Unfortunately, Bosnia was only a country on the way back, so we had only three days to see it. Maybe this is why Sarajevo is our main Bosnian impression. 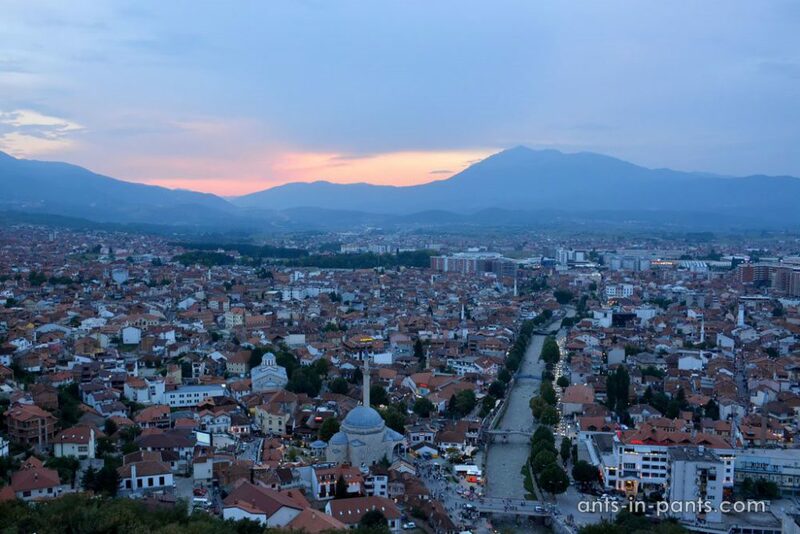 It is a fascinating city for exploring the Balkan history, walking, and shopping. After this trip, many friends asked us about the Balkan political situation. To be honest, we did not try to talk with the locals about it: they themselves sometimes started a conversation. This is a very difficult topic to understand, especially for people from the outside. Everyone has his or her own truth. Therefore, we prefer to refrain from comments.